Almond shipments are a driving force behind the rising volume of food products passing through the Port of Oakland. Agricultural exports from the US port totalled 375,727 TEU containers in 2017, up 42.7 per cent from 263,218 containers in 2013. 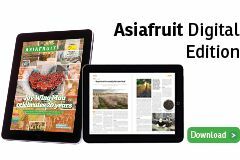 According to port data, almonds were among the leading export commodities from Oakland in 2017, while Japan, China and South Korea were listed as the top-three export destinations for agricultural products. 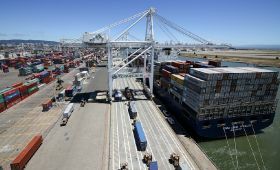 Location is a key reason why Oakland is considered a principal US gateway to overseas markets, being the closest port for farmers in California’s Central, Napa and Salinas valleys. It is also the last US stop for ships heading back to Asia, meaning it provides the shortest transit time to market. Port officials warned the growth in trade to the Far East could stall if foreign governments tax US goods in retaliation to tariffs on some steel and aluminium imports flagged by the Trump Administration last week. China has already responded by saying it is considering retaliatory tariffs on a range of US commodities, including some farm goods.